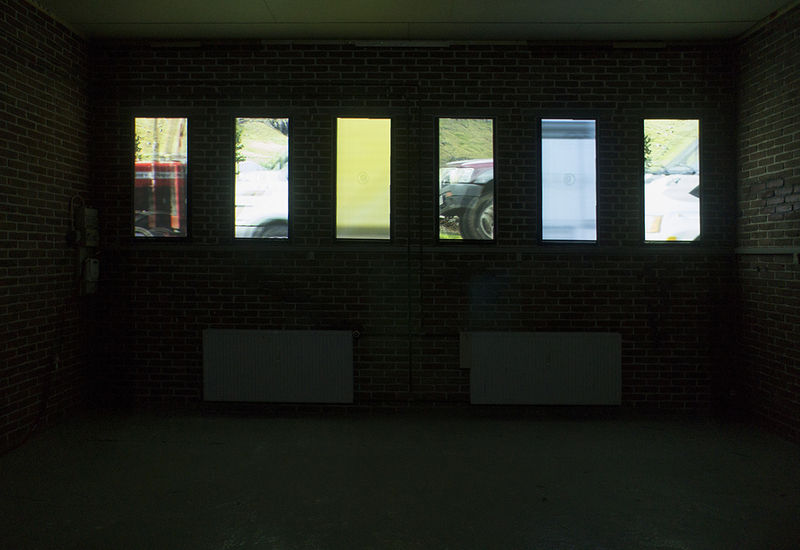 Six videos in upright 16:9 format are shown on 6 shutter plates, that cover the windows on one of the walls of the gallery space. Through the windows, that now can be seen as open,. you see the traffic of Seydisfjördur, East Iceland. Vehicles driving back and forth build up a rhythm resembling the breath of a large animal. 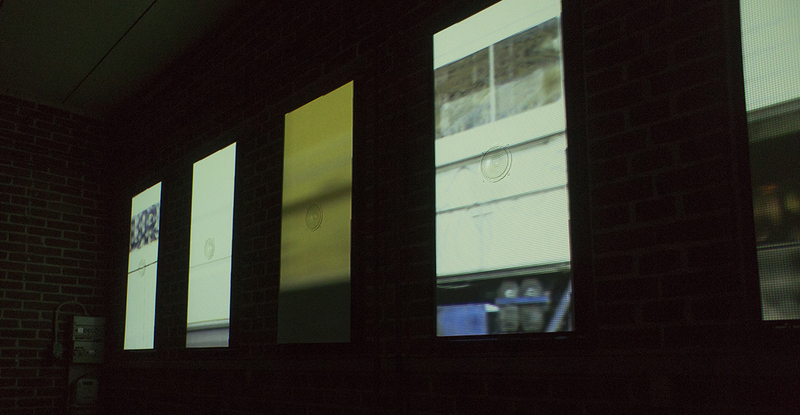 The sound of each video comes from a loudspeaker built into the middle of the plate it is projected on. 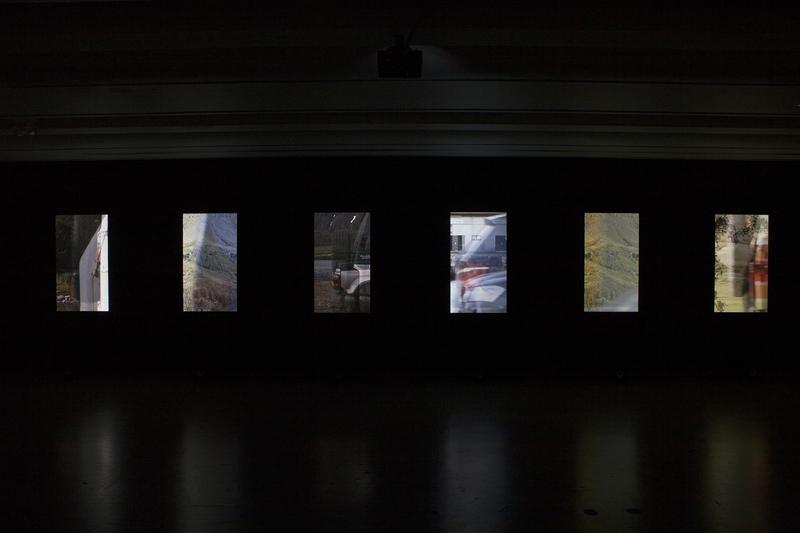 The sound of the vehicles blends together and continually changes during the playing of the work. The shutter plates are not quite straight, and the videos are adapted to that., as well as being cropped to fit the width of the plates. The installation was later installed in other places, without window shutters. The videos were then in full width.